If you are a current client of Pana Animal Hospital, you can request a refill for your pet's prescription by submitting the following form. Please be sure to fill in all the requested information, and please give us 24-hour advance notice, so we can ensure we have your prescription in stock. The prescription refill must be approved by a doctor. 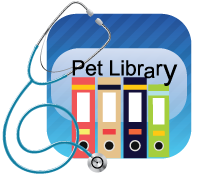 We will notify you via email or phone when your pet's prescription is approved and ready to be picked up. We will also inform you of the total cost of the prescription at that time.